The spring is coming and many couples choose to have their big wedding day in these beautiful days when the world is colorful with blooming flowers and trees. 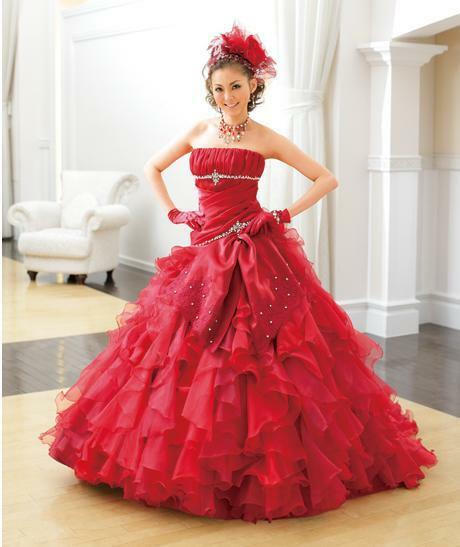 We need bright colors for these days and wedding dresses in bright colors may be great idea for your big wedding day. 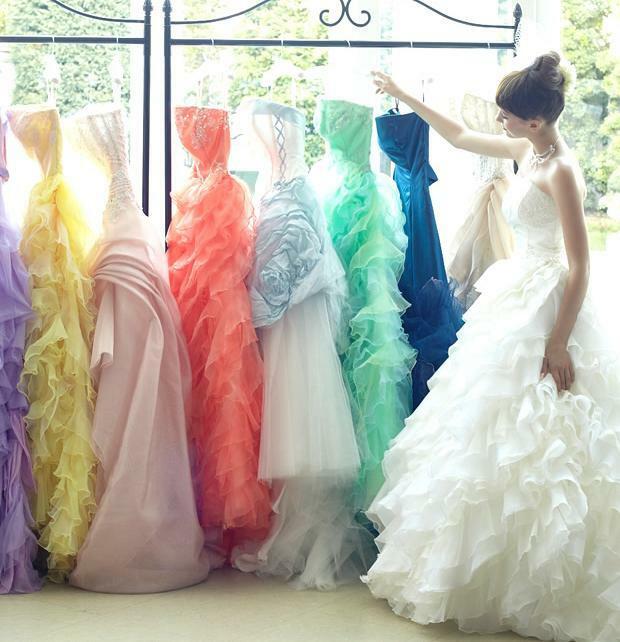 Acqua Grazie wedding dresses may be one of the best choices for a spring wedding. 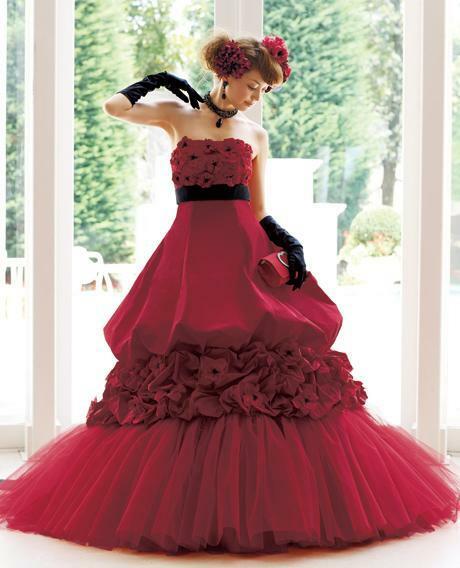 Showing the special feminine feelings, they can add special colors to your wedding. 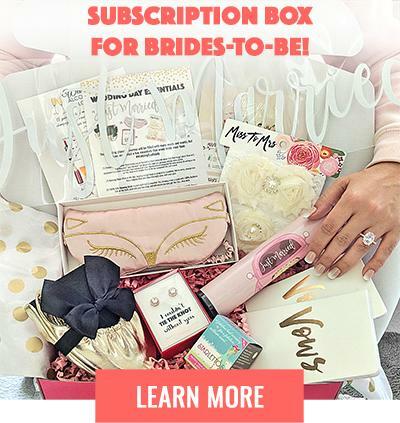 Any woman who wants something that extravagant and lavish for her wedding day can tune into this magical style. We noticed that the style of oriental girlfriend is very extensive and complex. The details and rich textures of Japanese designers in their creations are always strikingly beautiful and intriguing. We are back with more gowns from Acqua Grazie. This time, with some of the most beautiful and impressive colored designs. These fancy models can be found on the same 2012 bridal collection from which we’ve already posted here a few of our favorite designs. We recommend you browse our website in search of the other article we have on Acqua Grazie wedding dresses to see how adorable the white models are. 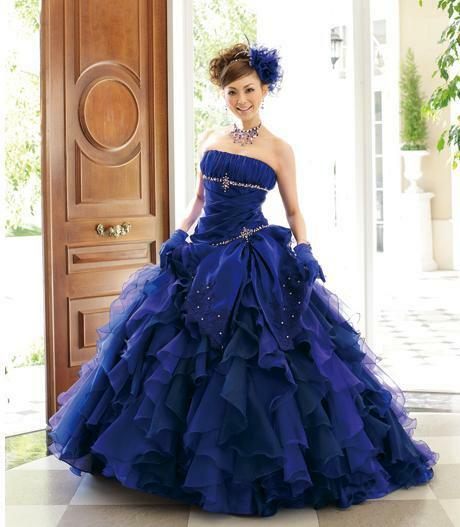 The colors are powerful and vivid and they can add even more luxury and glamour to the bride’s look. The cuts are not standard, nor classic. They are bold and deep. The details are rich and intricate and they add more opulence to the overall unique design. These ballgown silhouettes are surprisingly original. We think that the Acqua Grazie 2012 Bridal Collection is definitely something worth seeing by any bride.